"They're afraid to be honest, and that's a bad system." IFC Films has debuted a trailer for hte documentary titled Frank Serpico, telling the true story of the NYPD whistleblower Frank Serpico. Back in 1973, Sidney Lumet directed Al Pacino in the feature film Serpico, telling a fictionalized version of his story of how he called out rampant corruption in the NYPD force, only to have his comrades turn against him. This new documentary goes back and lets Serpico tell his story in his own words: from his Italian-American roots in Brooklyn to his disillusionment with the NYPD and beyond. Featuring interviews with Serpico's associates and admirers, including John Turturro, as well as music by Jack White. His story seems just as relevant today as it was when it first happened. You might want to check this out, looks like a compelling doc to see. In the early 1970s, one man stood up to the entire New York City police force. Hailed as a hero by many, hated by others, officer Frank Serpico made headlines when he blew the whistle on a culture of bribery and corruption within the department. His one-man crusade for police reform inspired the Al Pacino classic that bears his name, but the real life saga is as gripping as anything Hollywood could dream up. Now, Serpico tells his story in his own words: from his Italian-American roots in Brooklyn to his disillusionment with the NYPD to his riveting account of a dramatic drug bust—and possible set-up—that ended with him being shot in the face. Featuring music by Jack White and interviews with Serpico’s associates and admirers—including Luc Sante and John Turturro—this is an inspiring, all-access portrait of a courageous man who refused to betray his ideals. 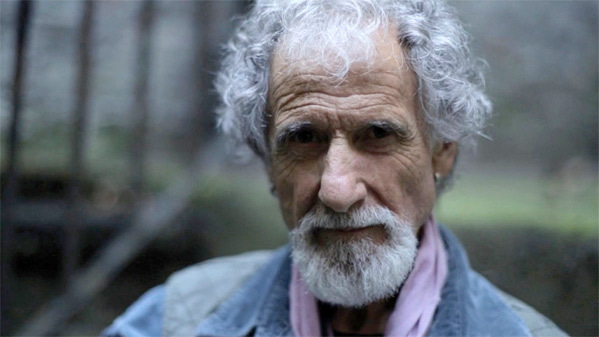 Frank Serpico is directed by filmmaker Antonino D'Ambrosio, of the doc Let Fury Have the Hour previously. This first premiered at the Tribeca Film Festival this year. IFC will release the doc in select theaters + on VOD starting November 1st. Interested?